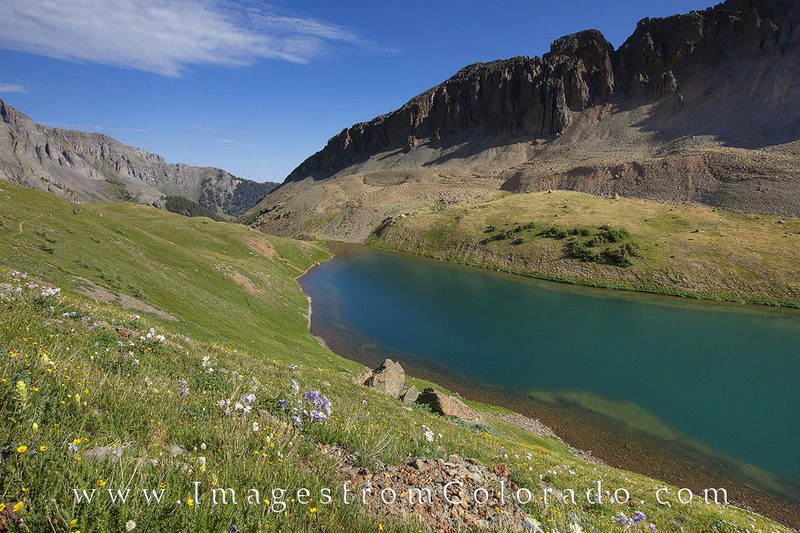 The Blue Lakes Trail near Ouray takes you to both Lower and Upper Blue Lakes in a stunning 8.2 mile round trip hike. Continue further to Blue Lakes Pass at 13,000’ in elevation. Upper Blue Lake (11,750’) is shown in this photograph on my way down. With San Juans surrounding this lake and Lower Blue Lake, this is a spectacular summer hike. Photo © copyright by Rob Greebon.